A dental implant is one option for replacing a tooth. Implants are manufactured devices that are placed surgically in the upper or lower jaw, where they function as anchors for replacement teeth. Implants are made of titanium and other materials that are compatible with the human body. 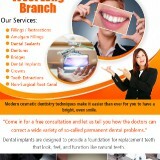 An implant looks and feels like a natural tooth. It fits securely when you chew and speak. 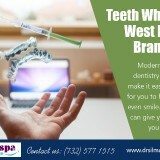 Dental Implants in West Long Branch is a free-standing unit and does not involve treatment to the adjacent teeth.